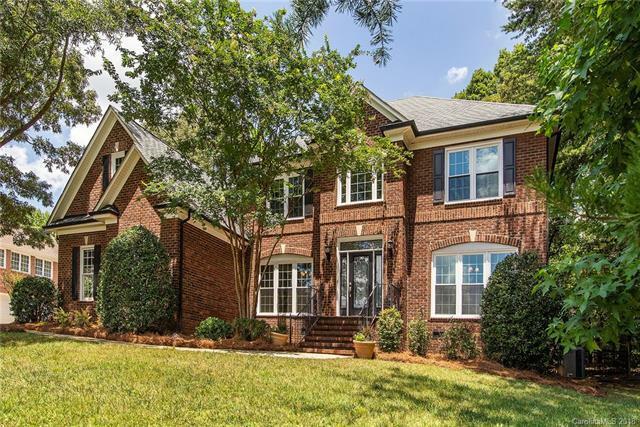 Beautiful, full brick, custom built home in desirable Bradford Park on over 1/2 acre with great floor plan! Custom cherry cabinets in the kitchen with TONS of storage. Private, huge fenced in yard with plenty of room to garden (shade and sun), play (3 swing/2 slides) and relax (paver patio). Amazing views from front allow you to see for miles. Closets upon closets...storage, storage, storage...two pantries. Short cut straight to neighborhood pool (swim team) and tennis courts, 8 miles of safe road run, fun neighbors with perfect mix of socializing/charity. Guest suite on main with own bath ... and a second bathroom on main for company to use. Over-sized Jacuzzi tub in master with huge window with views of tree tops and birds (private). Great Harrisburg Schools! Ready for you to move in! Close to 485 & UNCC! Come take a look! Sold by Queen Realty & Co. Inc..